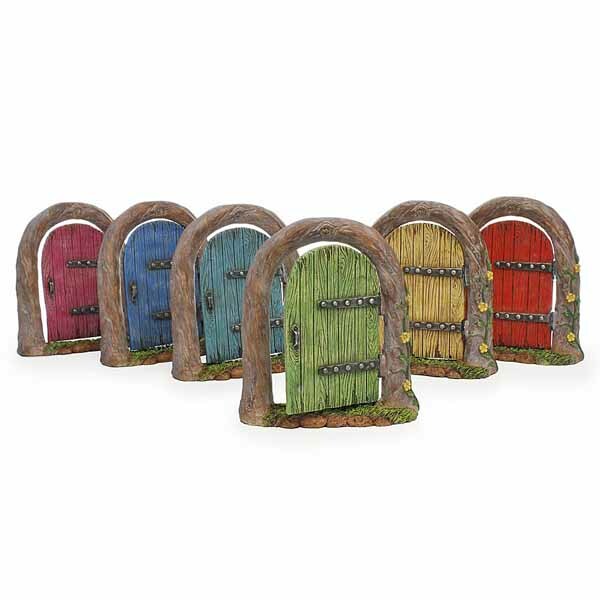 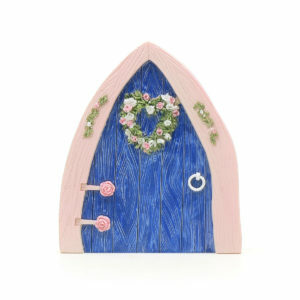 This collection of opening fairy doors looks absolutely fabulous standing up against a tree or hidden amoung the bushes or up against the skirting board in the house. 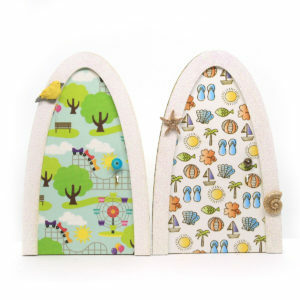 Each hinged door stands on a little grass step and has a wood effect surround with ivy and yellow flower detail. 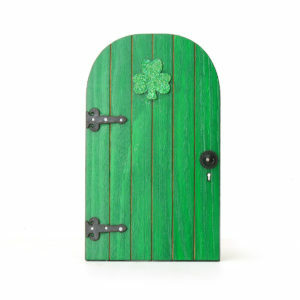 These doors are a gateway to every child’s imagination. 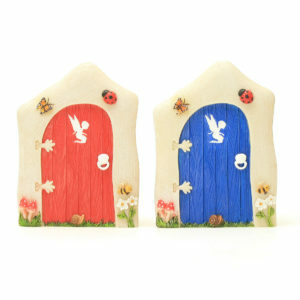 Made from resin and hand painted they are suitable for outdoor use.